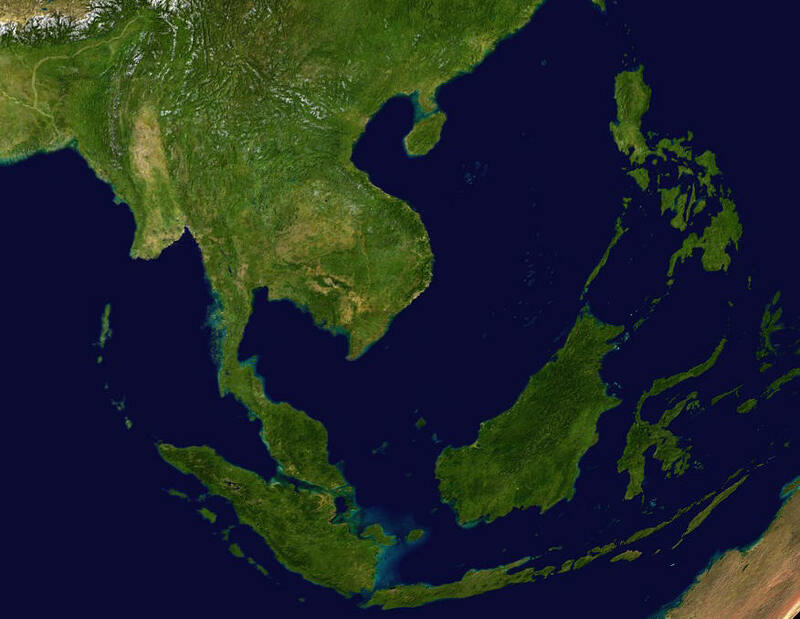 Satellite picture of the Near East. 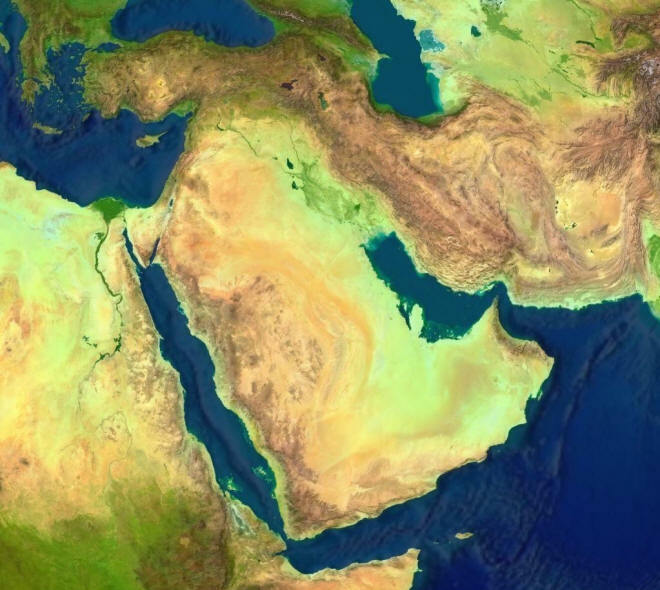 Showing: the Palestinian territories, Israel, northwestern Jordan, and southern Syria. 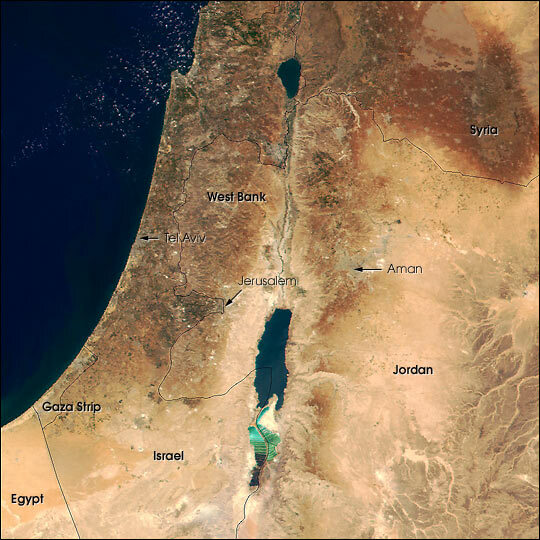 West Bank and Dead Sea featured.